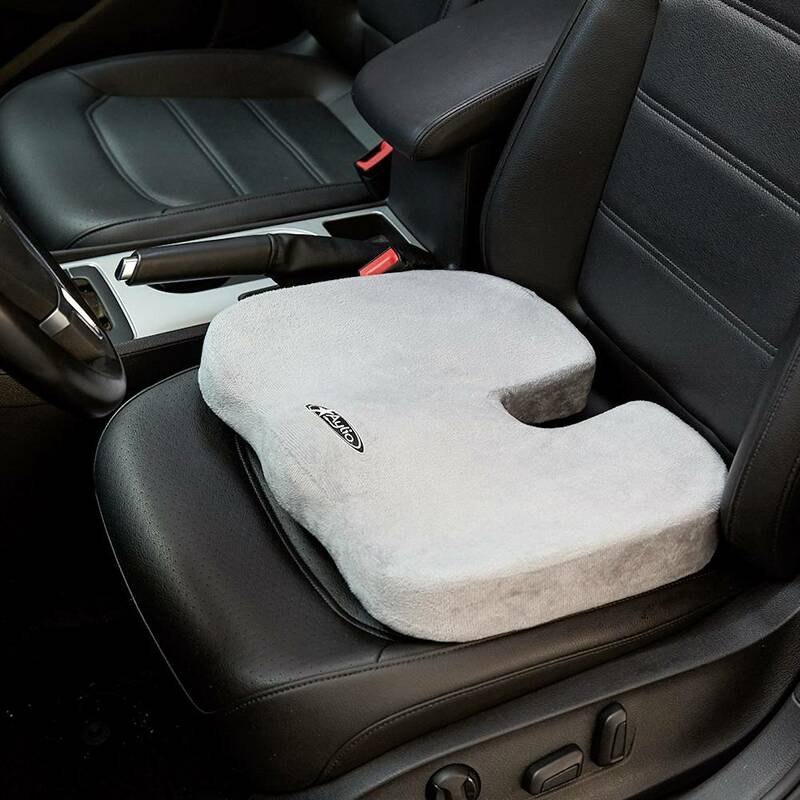 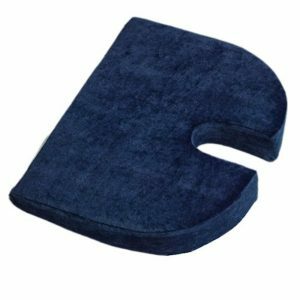 Coccyx seat cushion reduces pressure on tailbone while sitting or driving. 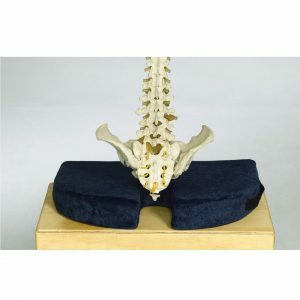 Aids in relief of lower back pain, numbness and sciatica. 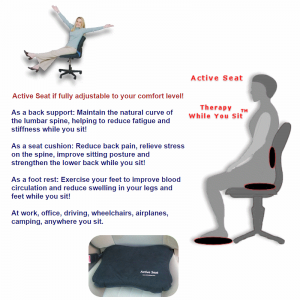 Better comfort for an office chair, car seat, truck, plane, wheelchair, floor or bench. 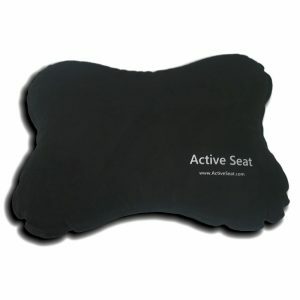 Removable velour cover is machine washable and allows for easy cleaning. Promotes even weight distribution, posture and better spinal alignment. 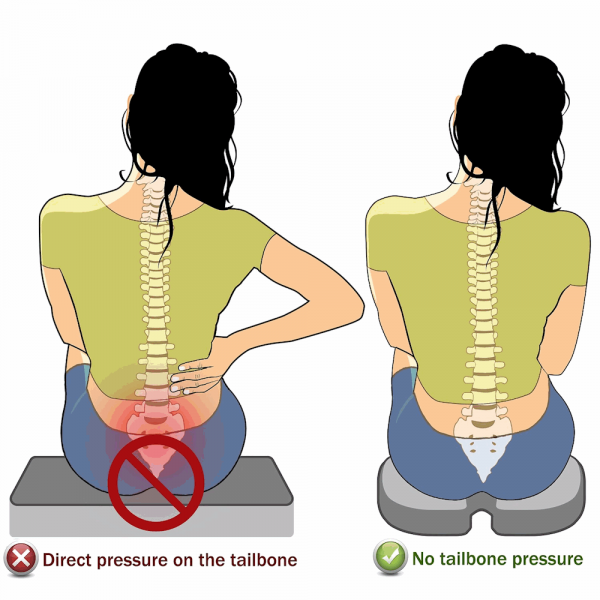 When you are suffering from tailbone pain, sitting can be very painful. 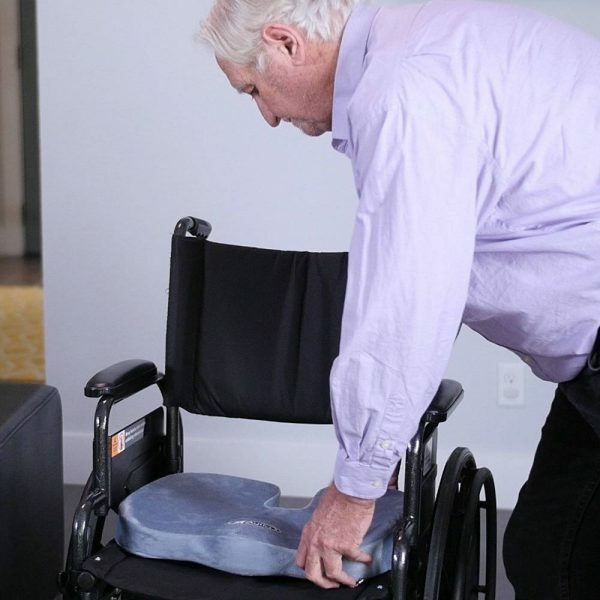 Shifting postures to avoid pressure can lead to back pain or aggravation of chronic spinal pain. 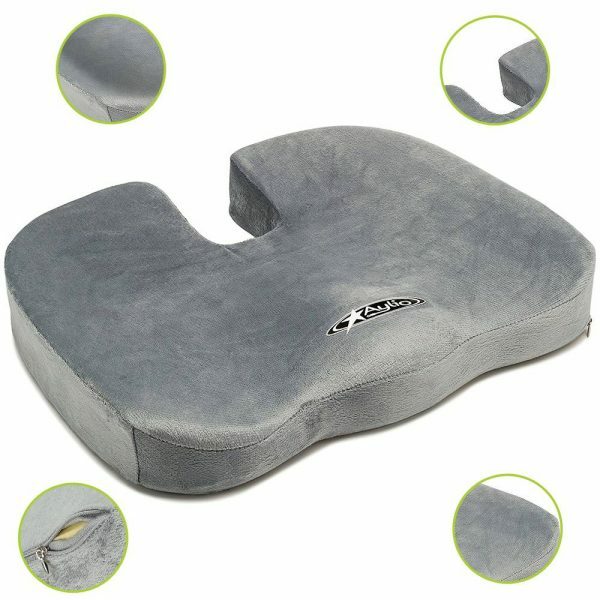 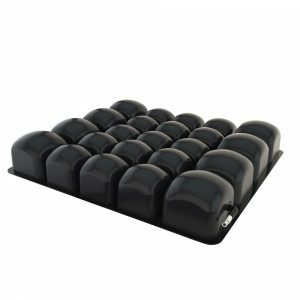 The solution is a coccyx seat cushion that is designed to improve sitting posture and remove pressure from the tailbone. 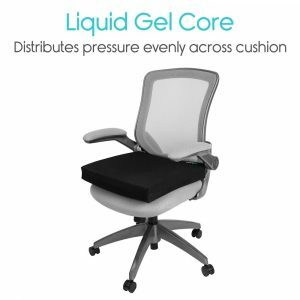 Unfortunately, you can’t just stand to avoid coccyx pressure. 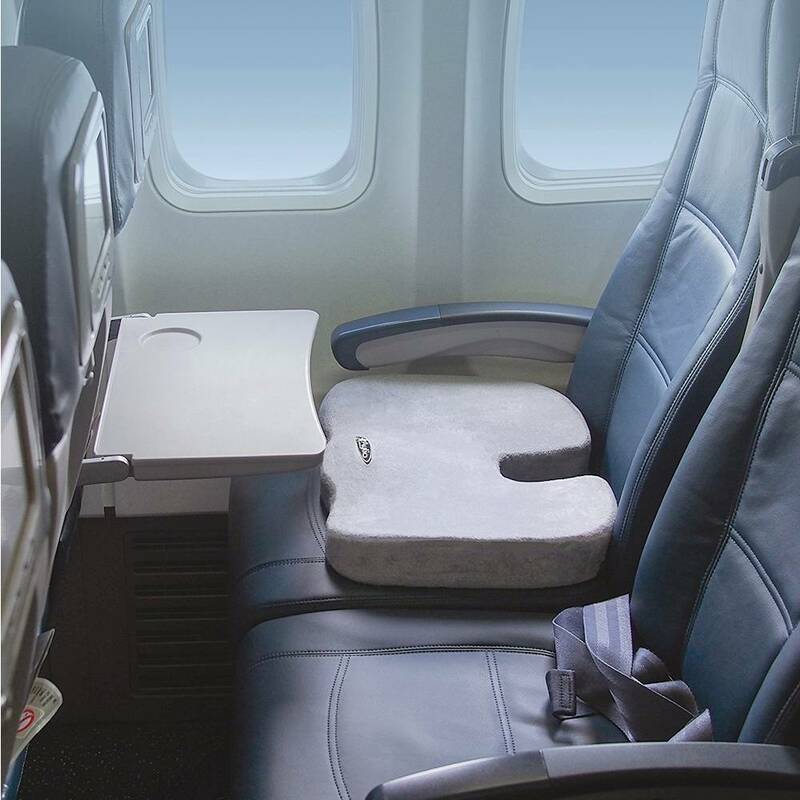 Whether at work, watching TV, eating or traveling, you will need a seat cushion that delivers comfort and relief. 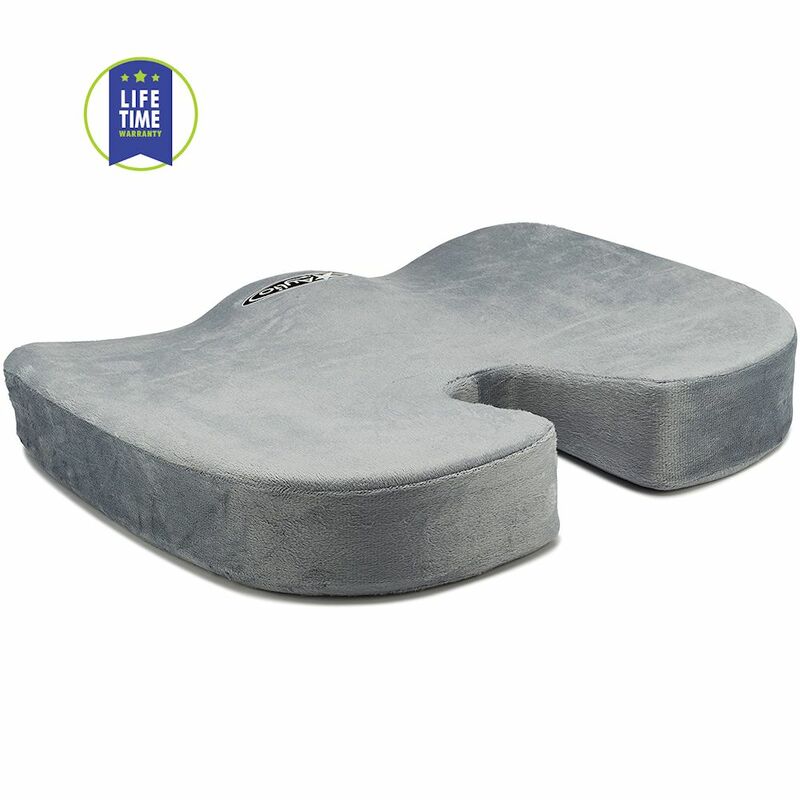 The special contours are anatomically designed for the thighs and buttocks as it gently assists in aligning the spine for even weight distribution. 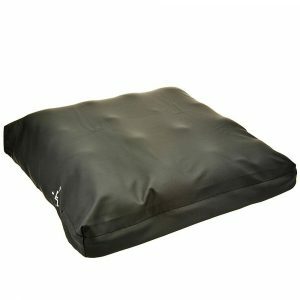 The cushion is both lightweight and portable to use at home, office and for traveling. It weighs only 1 pound and measures 18″ x 14″ x 3″. 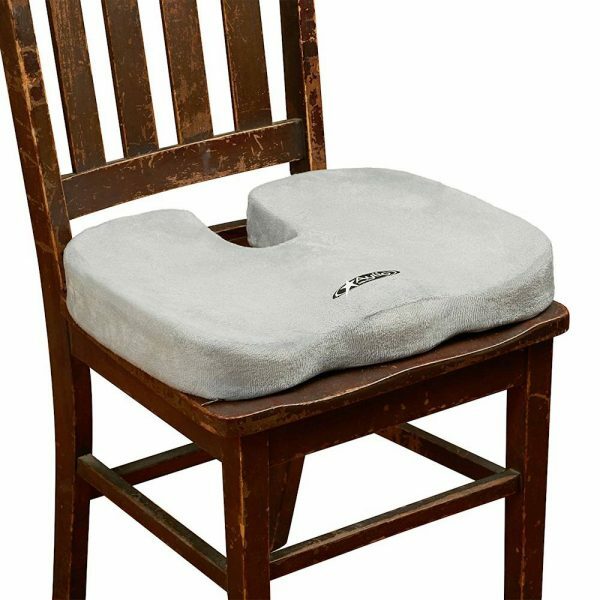 While the cut out offers instant relief from tailbone pain and pressure, the design allows the use in just about any chair or flat seating surface and may help with relief from poor posture, back muscle soreness, poor circulation in the legs and pain from sciatica.